Sometimes you meet an interesting chemical compound in an entirely different background than you might expect. This happened to me when I encountered the beautifully symmetric molecule Perfluorodecalin for the second time in my life. I’ve heard of it for the first time in science fiction movies like The Abyss and in oldschool anime Neon Evangelion Genesis where they showed mammals, deep-sea divers and anime protagonists in underwater respiratory-systems (watch here and here). I must admit back then I thought they made the liquid-breathing thing entirely up but as I found out it actually has its roots in real science! After the movies I didn’t hear from PFD and other Perfluorochemical molecules enough to take notice of it and forgot about it. Until last week, which was the time I decided to check out new makeup and skincare like Sunday Riley’s Effortless Tinted Primer and La Prairie’s Cellular Power Charge Night(499 USD!). 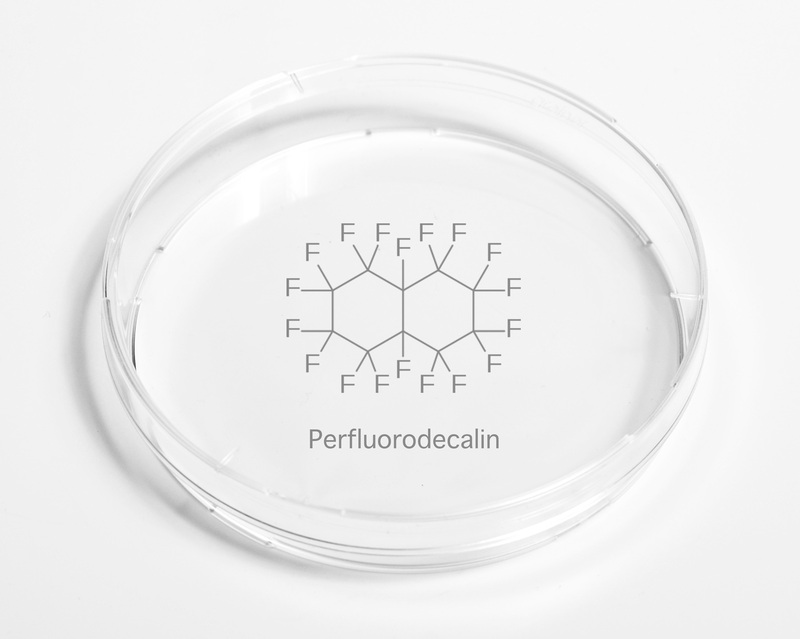 So there it was, right in their ingredients: Perfluorodecalin (or’Rejuvenox’). What was it doing there? Nice i like your blogentries and white look. so clean! Is oxygenated cosmetics beauty good against aging? With oxygenated beauty products I suspect a lot of pseudoscience so I personally would rather stick to Retinol, Vitamin C and EGF, but if you cannot resist to try oxygenated skincare your best bet is Kate MIddleton’s favorite brand’s Karin Herzog Oxygen Facecream as the reviews are quite good.